The Priyanka Chopra starrer Mary Kom released last week and needless to say, got a good response at the box office. 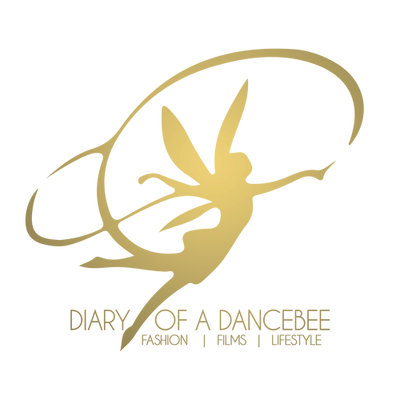 The critics may have a different story to tell, but we can tell you that the audience certainly enjoyed the biopic of the famous Olympic champion, as they cheered, 'awwwed' and even whistled during the film. We list 5 things that we absolutely loved about Mary Kom (the film). Of course, duh! How can anyone ignore the determination and 'ziddi dil' spirit displayed by Priyanka Chopra. Hats off to this girl, as she dedicated two years of her life to this film and transformed herself completely to step into the shoes of Mangte Chungneijang Mary Kom, India's Olympic champion. She has done complete justice to the role essayed by her, with the perfect attitude and expressions, as her character progresses from being a girl to a woman and ultimately, the world champion. Don't miss the scene where she gives it back to the Federation chief. You can see the confidence and anger in her eyes. If there is any actress who could do this, it was PeeCee! More power to you, girl. This guy couldn't have asked for a better debut. A fine actor with some credible theatre experience, Darshan Kumar stands out as Onler (Mary's husband), despite the fact that the film is mostly dominated by Chopra. He emotes well, looks decent and did not display a single moment of 'over-acting' in his performance. Now that he will be acting opposite Anushka Sharma in his next, we are waiting to see if he impresses us again. These two songs, especially the former, are currently on the loop on our iPods. Ziddi Dil is brilliantly sung by Vishal Dadlani, while the motivating lyrics by Prashant Ingole keep you hooked on. Shashi Suman has given us a new anthem, which not only inspires, but also pushes an individual to work hard and run against all odds to achieve your goal. Then, we have got the melodious Sukoon mila, where Arijit Singh creates magic with his soft rendition of the song. Composer Shivamm Pathak does a good job with this romantic number, which is not very cheesy or typical. As much as we can't stop raving about Priyanka's performance, we have to give it to her trainer and make up artist as well. Instead of following the stereotypes and using prosthetic make-up to help PeeCee look like she hails from Manipur, artist Uday Shirale kept it simple. The bruises looked real and so did the freckles (for sometime). 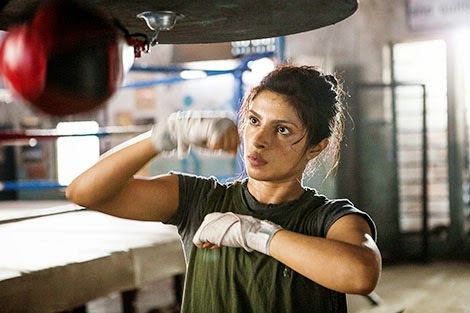 Trainer Samir Jaura has made sure that Priyanka's muscles and overall personality looks like a real boxer. Her stances in the ring, shoulder muscles, biceps and triceps were nearly perfect. Have you seen Mary Kom? What did you like about the film?